Discover why vision and dental insurance are necessities for you and your family. If you are apart of a company that offers you health insurance, you deserve to have coverage outside of just seeing your primary care doctor. Every employee is different needs, so they need insurance plans that meet all of their health-related needs. When it comes to offering your employees health insurance, you need to include comprehensive vision and dental coverage. Your employees deserve to be financially protected concerning their vision and dental expenses. Discover the never-ending advantages of offering vision and dental benefits to your employees. If you look around your company, you will probably see several employees that wear glasses to see in some capacity. 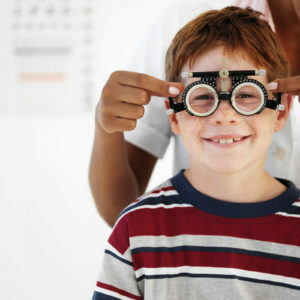 Having vision insurance would assist them in paying for their glasses along with any eye exams. Vision insurance is critical for those that need glasses or contacts to see on a daily basis. It also helps cover surgeries and procedures that are necessary for your employee’s vision and eye health. Offering vision insurance will show your employees that you care about them and their eye health. Unlike other employee-healthcare plans, Malden Solutions can offer dental insurance to your employees. Dental insurance is critical for your employees considering over 108 million Americans are not covered for their oral health needs. Whether you need to get a regular cleaning or you need a filling, dental insurance will cover at least a portion of your visit. Even if you need an intensive surgery, dental insurance will assist you with the cost. Regardless of your dental needs, it is vital that you invest in dental insurance. The last thing you want is to be walking around with a toothache that could turn into something much more serious. This entry was posted on Friday, January 26th, 2018 at 10:32 am. Both comments and pings are currently closed.